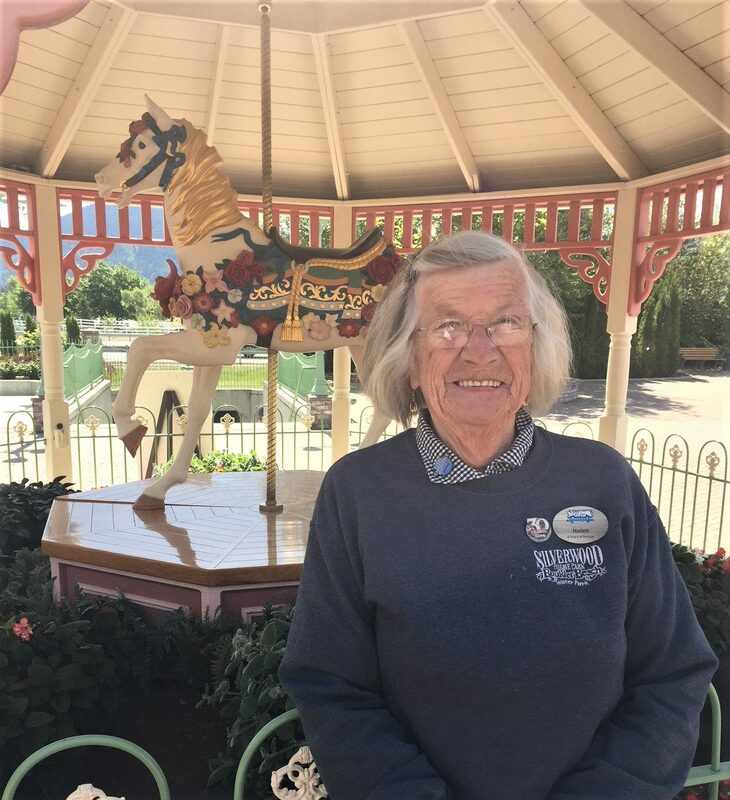 Every summer hundreds of thousands of guests flock to Silverwood Theme Park expecting to have good family fun and none of that would be possible without a happy, well-trained staff to greet them. We staff Cooks, Cashiers, Ride Operators, Game Attendants, Lifeguards, Security, Guest Service, Custodial, Restaurant Servers, Bartenders, Pavilion Group Servers, Seasonal Supervisors and more. The park looks for all levels of experience from a limited number of youth seeking that first job to more seasoned job seekers wanting a fun yet hard-working environment. From the start we have made it our goal to hire individuals who are passionate about service and willing to go the extra mile. Our staff is constantly hard at work finding ways to exceed our guest’s expectations and provide seamless service. With these goals in mind, we have hired so many fantastic cast members that deserve recognition. This summer we are going to feature one cast member a week on the blog that work toward our common goal of creating a beautiful atmosphere where cast and crew members are passionate about creating memorable experiences for our guests. For this week, we are going to introduce our good friend Helen! I am 83 now, but back when I was 38, I rode in an airplane for the first time here on the property. Before Silverwood came to be, it was a little airport called Henley’s Aerodrome. People ride on planes all the time now, but back then it was a big deal. Two of my grandchildren are working at the park this year, and it is my goal to ride all of the roller coaster at least once this summer. If you could give guests any insider advice on how to have the best day at the park, what would it be? I have a large family. I have 6 children, 12 grandchildren, 24 great grandchildren, 1 great great grandchild, and one more on the way. I also love to hike. I have been participating in Bloomsday for 26 years. Awww, you’re just saying that because it’s your grandma! Blessings to you and your Grandma! Hardest working lady I know!! Love you Grandma Hester! You are truly an inspiration. I met a young man named Austin working the Timber Terrorist on August 10, 2018. He was nice and funny and made the wait for the ride fun! He was so nice!